It feels like a long time since I updated the engine. The last version was released on Feb 2017. However, throughout this whole, I released the engine as an open source. I also spent a considerable amount of my free time writing documentation for the engine and fixed several issues that I encountered along the way. Today I'm happy to say that I have released Beta version 0.0.11 of the Untold Engine. Implemented a Camera System that can handle a First Person Camera, Third Person Camera, and a Basic Follow Camera. Improved the camera culling computation. If you recall, the previous version had problems with the Camera Culling. In this version, the engine allows the developer to set the desired time interval to compute the culling. However, there is a bug that I found out a bit too late. Shadow rendering is slowing down the culling computation. I will fix this in the next version. Implemented an actual 3D particle system. The previous version was able to produce 2D particle systems. This is no longer the case. Here is a video showcasing v0.0.11. As you can see in the video, the engine allows you to switch between Basic Follow Camera to First Person and the Third Person Camera. The video also shows a 3D particle system. Since the release of the engine, I've been swamped documenting the engine C++ classes, writing How-To articles, documenting how to use the Untold Engine, testing the engine with several mini-games and fixing several issues in the engine. The main improvement in the latest version beta-0.0.10.1 is the Camera. The Camera can behave as a Third Person Camera, First Person Camera, and a Basic Follow Camera. The video below shows an example. Since the release of the game engine almost a month ago, we have been busy improving the documentation and adding hands-on labs. We also decided to release the game engine as an open source. Yep, the Untold Engine is now open source. Initially, we wanted to keep it closed source but decided to go the other way. As an indie-dev myself, I know that I couldn't have been able to develop the Untold Engine without the help of articles and code examples I found online. I felt that it was my duty to give back to the community. Therefore, we decided to open source the engine. We are super excited to introduce to you the Untold Engine. 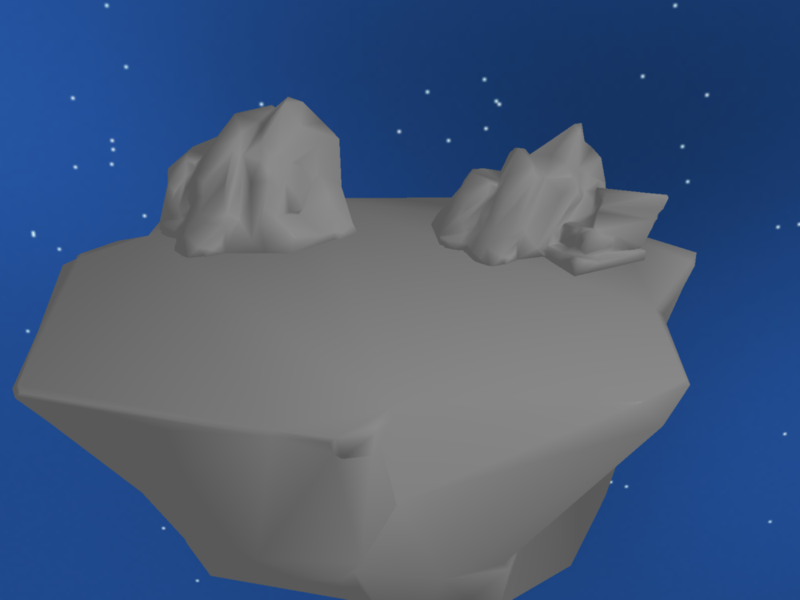 The Untold Engine is a 3D game engine written in C++ and Metal Graphics (API). So what can the Untold Engine do? This is the part where I should brag about the engine, right? Well, I won't. To be honest with you, the Untold Engine is still in its infancy. It does not have all the features of other mature engines currently in the market. Nor, do I want you to think that the Untold Engine is more special than the other engines. It is Not. The only distinctive aspect of the engine is that it was created through sweat and perseverance by an indie-developer in his bedroom. And it supports iOS and Mac devices. What else do you provide? The purpose of the Untold Engine is to help you understand how game engines work. I want to share with you everything I learned throughout the development of the engine. Thus, aside from the source code, we also provide in-depth articles on Game Engine Development. And 3D models which you can use to put into practice what you have learned. ©2018 Untold Engine Studios, LLC. All Rights Reserved.